While very few can go to space, everyone with good eyes can see it for free, and do amateur astronomy from anywhere on Earth's surface. Outer Space, or simply Space, is the area that is above the Kármán Line, a line that is drawn at an altitude of 100 km (62 mi). The vast majority of space is empty, as there is on average just 1 atom per cubic meter in space. However, there are some objects, both natural and artificial in space, including planets, moons, stars, space stations and artificial satellites. Starting from the invention of the telescope in 1610, space travel and rocketry had been theorized. The first rocket is launched in 1926 but it did not cross the Kármán Line (one of the commonly accepted boundaries of "space"), and the first rocket to cross the Kármán Line is the V-2 Rocket launched by Germany in 1944. The first animals to be sent into space is some fruit flies launched in 1947 by the US, and the dog Laika was the first animal to be sent into earth orbit launched in 1957 by the Soviet Union. Driven to prove their superiority during the Cold War, as well as to gain a strategic advantage, the U.S.A. and the Soviet Union began the "Space Race" during the 1960s. In 1961, the first human, Yuri Gagarin, was sent into space by the Soviet Union and after the Americans managed to put some men into space as well, the USSR put Valentina Tereshkova, the first woman, into space in 1963. In 1969, the American Neil Armstrong became the first person on the Moon. Starting from 1971, the Soviet Union launched the Salyut space stations and they were the first space stations ever. Probes began to explore the solar system also around this point. Space seemed very close; at one point, tickets to the moon and to as-yet-nonexistent space stations were being sold. After the Space Race ended, a new sense of reality set in. The wild dreams of the 1960s and 70s died, and humanity turned its attention earthward again. Space travel beyond Earth's orbit became the exclusive domain of mankind's robotic explorers, and high-profile tragedies both reaching and returning from orbit provided sobering reminders of the risks of space travel. By the end of the 20th century, travel into space was still exclusively the domain of governmental organizations. However, necessity changed the situation with the dawn of the 21st century, starting with the construction of the International Space Station in 1998. Desperate for funds, the Russian Space Agency began to sell seats on Soyuz launches. 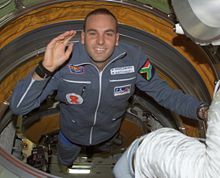 Businessman Dennis Tito became the first pay-to-fly space tourist in April 2001, and since then a handful have followed in his footsteps, some of them even on more than one flight. Space is an extreme environment. The temperature is about −270 °C (−454 °F), cosmic rays would cause fatigue, nausea, vomiting and damage to the immune system, and body fluids, such as blood, boil in space. So a space suit must be worn when outside of ships and space stations. Even if you never get to go to space yourself, there are quite a few space-related places on Earth. At these museums and launch sites, you can learn about crewed missions and the robotic probes used as a scientific research tool where cost, distance, lack of sufficiently-advanced technology or extreme conditions make human exploration impractical or impossible. Points which are beyond the reach even of probes are typically only accessible to remote observation from afar, such as by astronomy or radio astronomy. 45.964863.30514 Baikonur Cosmodrome, Baikonur, Kazakhstan. The rocket launch site of Sputnik 1 and Yuri Gagarin in Kazakhstan, and to this day the main Soyuz launch site. Long strictly off-limits, but now open to limited tourism. 34.201694-118.1716672 Jet Propulsion Laboratory (JPL), 4800 Oak Grove Dr, Pasadena, California, ☎ +1 818 354-9314. the designers of the Mars rover, host events including one guided tour weekly; passport/identification and advance reservations are required. 28.5233-80.68195 Kennedy Space Center Visitor Complex, Cape Canaveral, Florida, USA (Just to the west of Orsino on Florida State Road 405, between Range Road and East Avenue SW), toll-free: +1-866-737-5235. Daily 9AM-6PM; some holidays -7PM or -8PM. This busy tourist attraction offers museums, movies, a rocket garden and bus tours of former shuttle preparation and launch facilities. This is an official federal site — however, the visitor complex is run by contractors for a profit, so prices are comparable to private tourist attractions, not a typical national park. Basic admission (a 1 day pass) includes an excellent bus tour (including the complimentary bus tour of Launch Complex 39 and the Apollo/Saturn V Center), the museums (including the exhibit featuring the Space Shuttle Atlantis), and the IMAX movies. Additional special tours or programs should be booked in advance since they sell out quickly. NOTE: this facility may *sometimes* be closed on launch days! Cape Canaveral also includes the Air Force Space and Missile Museum. 1-day adult $50, children (3-11) $40. Discounts and other passes available. Parking $10. 5.237222-52.7605566 Guiana Space Centre (Centre Spatial Guyanais), Kourou, French Guiana. The European Space Agency's launch site. 35.0594-118.1527 Mojave Spaceport, Mojave, California, USA. The first FAA-certified Spaceport and the home of Scaled Composites' private spaceflight program. 48.08610811.2794288 European Space Agency's Columbus Control Centre, Weßling (outside Munich), Germany. Is used to control the Columbus research laboratory of the International Space Station, as well as a ground control centre for the Galileo satellite navigation system. Open to the public depending on mission status. 30.4130.979 Tanegashima Space Center (種子島宇宙センター), Tanegashima, Japan. Japan's main launch site. Free exhibits and tours, public viewpoints for launch days. Vostochny (Eastern) Cosmodrome, near Zilokovskiy, Amur Oblast, Russia. Functional since 2016, it was built to reduce Russian dependency on the Baikonur site in Kazakhastan. 15 km off the Trans-Siberian Railway, launches are certainly within viewing distance to train passengers, provided the train passes in the right moment. See astronomy for information on observing space phenomena from the ground. While not actual Space travel, the weightlessness experienced in orbit can be duplicated (for durations of less than a minute at a time) with a calibrated parabolic aircraft flight, which alternates low g-forces at the heights of its arcs with high g-forces at the bottoms. The parabolic flights are notoriously nausea-inducing, leading to the nickname Vomit Comet, but commercial operators claim that their shorter flights (15 parabolas) are considerably gentler than lengthy research flights (40–80). Incredible Adventures, 1903 Northgate Blvd, Sarasota, Florida, USA, ☎ +1 941-346-2603, toll-free: +1-800 644-7382, e-mail: info@incredible-adventures.com. Books flights with Zero Gravity Corp and on the Russian Space Agency's similarly equipped Il-76MDK, departing from Moscow. Zero Gravity Corporation, 5275 Arville Street, Suite 116, Las Vegas, Nevada, USA, toll-free: +1-800-937-6480. Flights from Las Vegas (Nevada) and Cape Canaveral (Florida) on a modified Boeing 727 with a large compartment suitable for weightless tumbling, including several brief simulations of freefall, Lunar gravity (1/6 Terran), and Martian gravity (1/3 Terran). US$3,675/person. Space Travellers International, Wallnerstr. 1A-1010 Vienna, Austria, ☎ +49 2628-7492-832, fax: +49 2628-987419, e-mail: info@space-travellers.com. Offering flights with Russian Ilyushin 76MDK (Training airplane of the Cosmonauts) departing from Moscow and also zero-g flights in the U.S. with Boeing 727-200. Russian zero-g flight with a 4-day program: €5,800. MiGFlug, Grüngasse 19, CH-8004 Zurich, Switzerland, ☎ +41 44 500 50 10, e-mail: info@migflug.com. Offering flights with Russian Ilyushin 76MDK (Special training airplane for Cosmonauts) departing from Moscow and also zero-g flights in the U.S. with a Boeing 727-200. Zero-g flight: €3,500/person. Space Travelers International, Wallnerstr. 1A-1010 Vienna, Austria, ☎ +49 2628-7492-832, fax: +49 2628-987419, e-mail: info@space-travellers.com. Arranges flights on Russian MiG-31 Foxhound jet flights up to 25,000 meters. Estimated price tag: €21,500 per flight included 4-day program in Russia. MiGFlug, Grüngasse 19, CH-8004 Zurich, Switzerland, ☎ +41 44 500 50 10, e-mail: info@migflug.com. Offering supersonic flights with a Russian MiG-31 Foxhound jet up to 25,000 meters, departing from Russia and supersonic flights with a Russian MiG-29 Fulcrum jet up to 23,000 meters, departing from Russia. Also offers supersonic flights with an English Electric Lightning jet up to 23,000 meters, departing from South Africa. Edge of space stratospheric flight: €16,500/person. Sub-orbital flight is defined as flight at altitudes higher than 100 km but at speeds insufficient to achieve orbit. While there are no operators offering sub-orbital flight, the privately funded and built SpaceShipOne in 2004 demonstrated that this is a possible market and the race is on to commercialize it. Boeing. Boeing announced the CST-100, a sub-orbital plane capable of suborbital flight and 7-passengers capacity in "competitive prices". All that sub-orbital stuff is pretty nifty, but these days no one's really ready to accept that you were "in space" until you've been in orbit around the Earth. There's no single altitude for this (it depends on your orbital velocity), but due to atmospheric drag it's only practical above 350 km. Commonly known as Low Earth Orbit, it is the exclusive domain of Russian Soyuz vessels, Chinese Shenzhou craft, and the International Space Station. This itinerary is likely the most expensive in the world. Space Adventures, 8000 Towers Crescent Drive, Suite 1000, Vienna, Virginia, USA, toll-free: +1-888-85-SPACE (77223), e-mail: info@spaceadventures.com. Space Adventures has organized orbital flights to the International Space Station (ISS), the only fully functioning space station in orbit. Around US$35 million per person will buy you basic training and a launch on a Soyuz vessel from the Russian Cosmodrome at Baikonur to the ISS. Participants must also fulfill certain physical fitness requirements to ensure their and the mission's safety. The ISS was launched in 1998 and has a Russian half and an American half. It orbits the Earth once every 90 minutes, and 16 sunrises and sunsets can be seen from it every 24 hours. The ISS consists of 14 main modules including 4 labs, a utility hub, an airlock and a life support module. Private firms SpaceX and Boeing were to begin transporting astronauts to the International Space Station in late 2019. Russia's Soyuz spacecraft had exclusively filled this gap since the 2011 end of the US space shuttle program,. China is testing out the technology for space stations and is planning to launch a complete modular space station (like the ISS) by 2022. Human travel beyond Low Earth Orbit has not been done since the cancellation of the U.S. Apollo program by President Nixon in 1972. The only programs actively working to re-establish this capability are governmental in nature. However, in 2005, Space Adventures announced its intention to work with Russian Spacecraft manufacturer Energia and the Russian Space Agency to offer a roughly one-week two-passenger flight around the Moon (no orbit, no landing) in a booster-equipped Soyuz craft for US$100 million per person, as early as 2010. This depends on a customer making a hefty deposit to get the project running, so don't wait for them to announce a flight date to get your name in. SpaceX is planning a pilot tourist flight around the Moon for Japanese billionaire Yusaku Maezawa, who wants to invite a group of artists to come with him. The trip is planned for 2023, but the company has a history of making ambitious plans and then delaying or canceling them, so it remains to be seen whether they'll stick to the schedule. Unmanned space craft have traveled around and outside the solar system, like the Voyager probes, but no human has yet travelled to a planet other than Earth. For years there has been talk of sending someone to Mars, but the barriers are formidable – travel time could be anywhere from several months to a couple of years, the environment is cold and inhospitable, the voyager would be subject to an extended period of weightlessness and exposure to radiation, the entire mission must be self-contained and the question of how to bring the astronauts back to Earth at the end of the journey remains unanswered. In the meantime, the robots bring back valuable scientific data which may not yet be obtainable by any other means. The Northern and Southern Lights can be seen from space. Extravehicular activity (EVA). Perhaps better known as spacewalking, this involves exiting the spacecraft to float around in space. This is now available as an option at Space Adventures, but there have been no takers yet: this costs US$20 million extra, requires an extra month of training and has additional fitness qualifications. Space dive. Orbital Outfitters is designing Sub-orbital Space Suit One, a suit to be worn by crew on sub-orbital flights and potentially suitable for "space diving" from 120,000 ft. Although space food has come a long way in terms of taste and variety in recent decades, the quality and taste is still not up to standards of most connoisseurs of fine cuisine. Your transportation provider may offer some choice in the foods available, but you will be limited by their willingness to indulge you. The freeze-dried "astronaut ice cream" sometimes sold on Earth as a novelty item is a misnomer; it has never actually been served on any manned space mission (in a zero-gravity environment, the floating crumbs would likely have interfered with the onboard equipment). However, real ice cream has been eaten in space by astronauts aboard Skylab, the Space Shuttle, and the International Space Station. Contrary to popular belief, Tang was not invented for the US space programme, although NASA did carry it aboard the Apollo missions. Water tends to be scarce (as it is heavy and must be brought from Earth), so International Space Station machinery recycles water aggressively. Everything from fuel cell water to humidity and waste water is efficiently recovered. According to some reports on the "fluffy newspiece" pages of the internet, astronauts actually prefer the recycled water. Your mileage might vary, but be assured, that chemically and biologically speaking, the recycled water is 100% safe for human consumption. Bigelow Aerospace. They built the first successful prototype of an inflatable space hotel in 2006-2007. In 2016, a prototype was delivered to the ISS on a SpaceX rocket to undergoing testing, but otherwise it will remain unoccupied. A 10–60 day "live and work visit", once available, is expected to cost between $26–37 million. While more mature technology has made it safer than it was in the 1960s, Space remains an inherently dangerous environment to put yourself in. Cosmic radiation, extreme temperatures, micrometeorites, engineering mistakes, high speeds, explosive fuels, space debris, the distance to terra firma, and the lack of atmosphere make any unplanned situation potentially life threatening. Spacecraft launch testing is extremely expensive, so spacecraft don't and can't have thousands of flight hours. By the standards of aviation, every space flight is a test flight. Both start (unless they invent the space elevator any time soon, you are basically sitting on a huge bomb of fuel and hope it doesn't explode) and reentry (if you hit it in the wrong angle you burn up in or bounce off the atmosphere) have thus far proven to be the biggest danger during a mission. So far only three humans have died in space (as opposed to start and landing), but there have been several close calls such as Apollo 13 or the very first spacewalk. Some of the technological problems and close calls only became known to the public decades after they happened, so there may still be dangers you won't even know you are facing. Voyagers should be wary of purchasing space flights on projects that haven't yet begun. Many ventures are highly speculative; PanAm's “First Moon Flights” Club issued over 93,000 waiting list spots between 1968-1971 and predicted launch dates for many subsequent commercial expeditions have slipped just as dramatically. If there are complications with the project or the company goes under, you might lose your money and your plans. Just look at the bold predictions of some private space companies that have already proven to be less permanent than a shooting star. Astronaut training is physically demanding, so good physical fitness is a good starting point. Similar physical and mental stresses are present in particularly demanding types of military service, piloting fighter aircraft, mountain climbing, Antarctic expeditions and advanced scuba diving such as cave diving. National astronaut programs often require athlete-like physical fitness and experience from these or comparable tasks. There are no hospitals in space and rescue is difficult or impossible, so people with conditions that might require immediate medical treatment are not qualified for space travel. You need to exercise to stay healthy in zero gravity. Even so, you'll still lose both bone and muscle mass. While exercise helps diminish the problem somewhat a long stay will still see you weakened and several cosmonauts and astronauts had difficulty getting out of their capsule and onto their own feet upon landing. Another concern is cosmic radiation. While you are exposed to a certain level of background radiation at all times, it gets higher in certain areas on earth and once you leave the protective layers of the atmosphere. This is already notable on a commercial transatlantic flight at 10,000 m and only gets worse if you go up to the International Space Station (ISS) at 200 to 300 km above the earth's surface. While the ISS still enjoys some limited protection against radiation, once you go well beyond that height, or even to the moon, there are short term and long term risks associated with radiation that only get worse the longer you stay. Particularly dangerous are solar storms that may give you a year's worth of radiation in just a couple of hours. Shielding against radiation is also one of the major problems in ever sending humans to Mars, as all known solutions involve huge amounts of extra weight for the space craft or too high a risk to the crew. What goes up must come down—at least for now. Once you've exhausted the Moon, there are countless opportunities for exploration and discovery down on the surface, in places such as Africa, Asia, Europe, North America, South America, Australia, Antarctica, and countless islands in between. 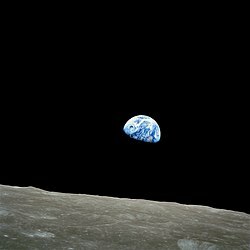 This travel topic about Space is a usable article. It touches on all the major areas of the topic. An adventurous person could use this article, but please feel free to improve it by editing the page. This travel guide page was last edited at 08:34, on 20 April 2019 by Wikivoyage user Hobbitschuster. Based on work by Wikivoyage users JakeOregon, SmileKat40, Mx. Granger, Ikan Kekek, OhanaUnited, Mbrickn, SelfieCity, CommonsDelinker and Ibaman and others.